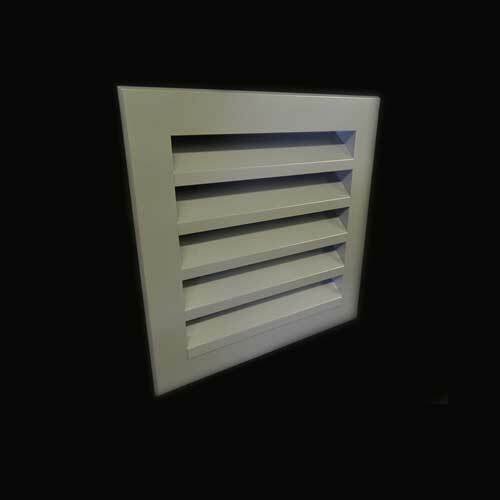 Penthouse Tower Louvres are rigidly constructed from aluminium extrusions. They offer a high degree of weather protection in combination with a large free area (approx. 50%), making them excellent air intake or exhaust units for ventilation through the roof. 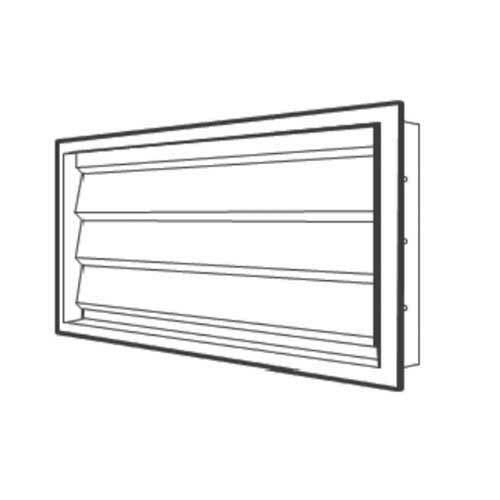 Penthouse louvres are made in two types, PTL/A (smaller unit) assembled and dispatched as a one-piece structure (max perimeter 4 metres, max height 0.675 metres). PTL/B is supplied and shipped in sections, has no limitation in size apart from that dictated by economy, stability and practicality. Penthouse Tower Louvres are rigidly constructed from aluminium extrusions and offer a high degree of weather protection in combination with a large free area (approx. 50%), making them excellent air intake or exhaust units for ventilation through the roof. 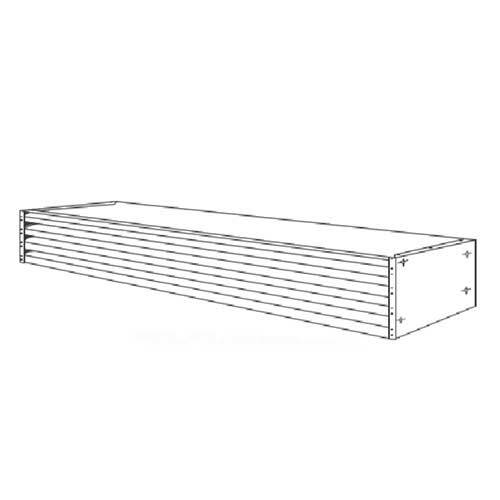 The tower louvres are made in two types, PTL/A – the smaller unit is assembled and dispatched as a one-piece structure, maximum perimeter 4 metres, maximum height 0.675 metres. PTL/B is supplied and shipped in sections, has no limitation in size apart from that dictated by economy, stability and practicality. Louvres and cills are 1.6mm extruded aluminium. The roof is fabricated from 14swg aluminium sheet. The bird screen is galvanised wire 25 x 12mm weldmesh (insect mesh is available). 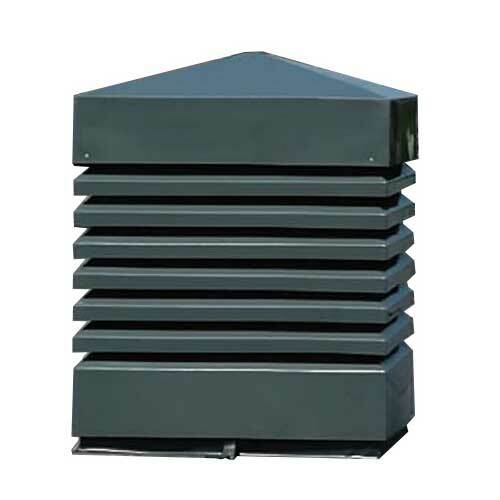 Penthouse Tower Louvres are supplied in Mill Finish as standard, or polyester powder coated to the customers colour requirement.